This famous aria from one of the best known Christmas pieces has been elegantly transcribed for clarinet and keyboard (piano or organ). This is a beautiful work with simple long phrases and clear harmonies. 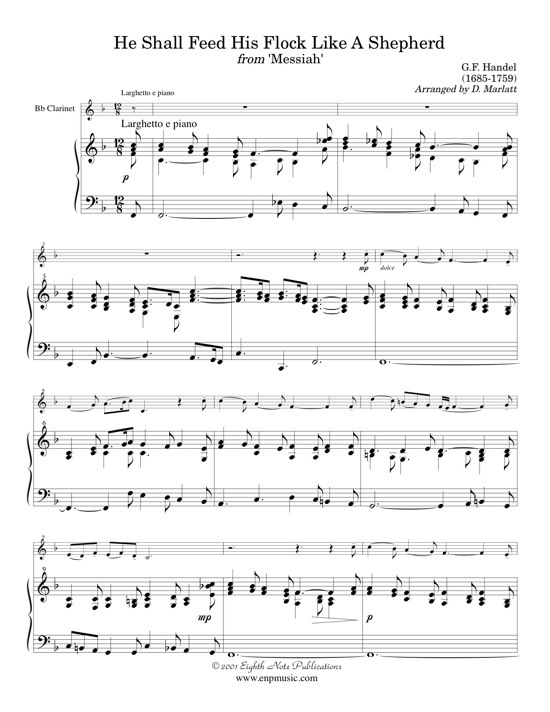 This arrangement is ideal for playing at Christmas church services or at weddings.